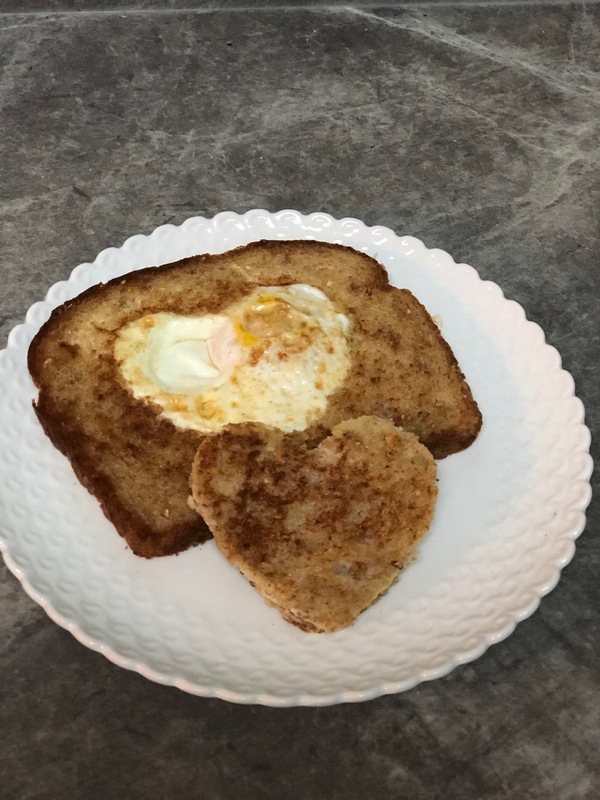 This easy to make Heart Shaped Eggs In A Hole breakfast is perfect for your sweetie this Valentine’s Day! I mentioned this recipe yesterday in my Free Printable Meal Planner, and will be sharing it again on Valentine’s Day when I make it for breakfast for D.J. and Anthony. Making Eggs In A Hole is simple, and you can really customize the eggs to anyones taste. 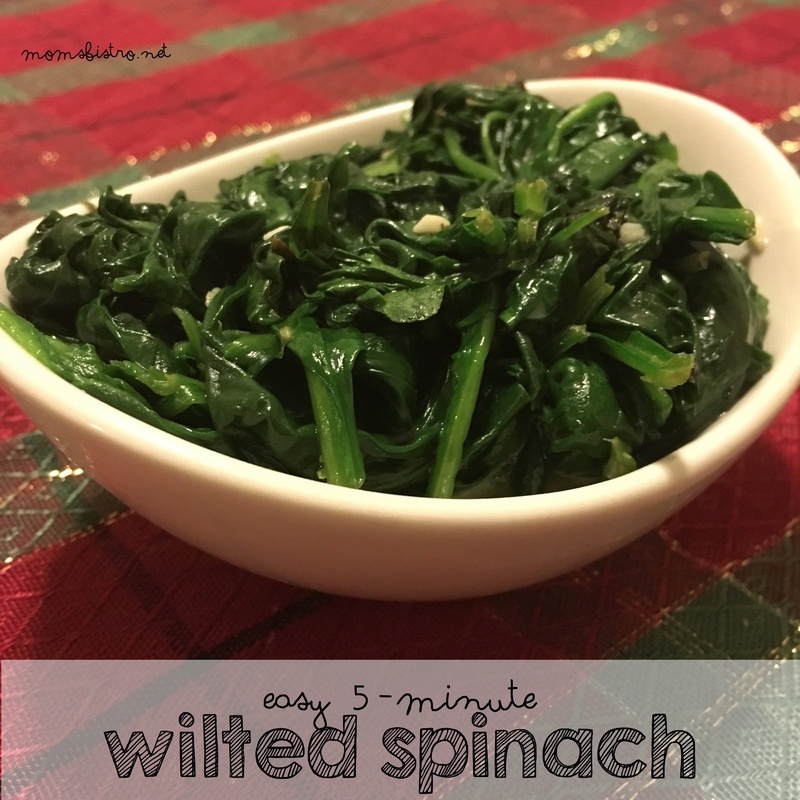 If you want, you can add in some fixins and scramble them up, or like how I made the eggs in this version of the recipe – over medium. 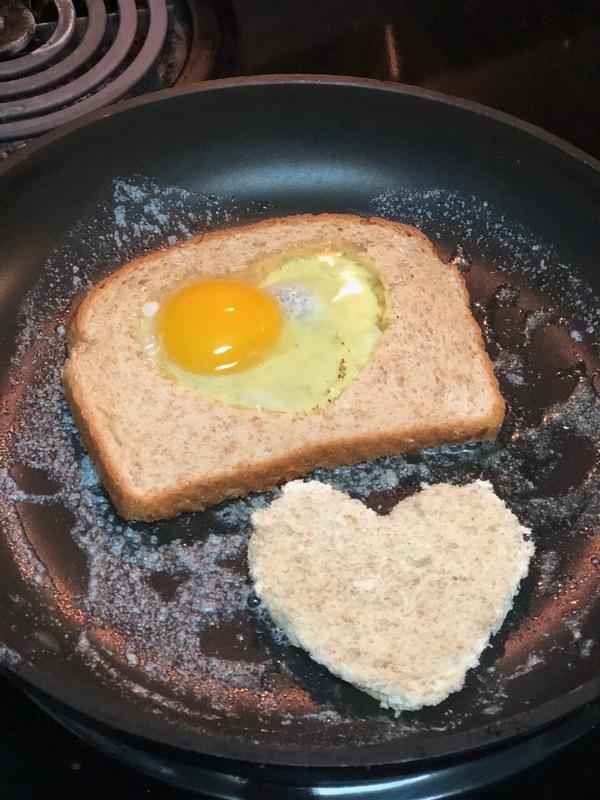 However you cook your eggs, your sweetheart is going to love how much love you put into making them. You really could take these to the next level, add a little red food coloring to the eggs and have red scrambled eggs in the heart, or even add in some finely diced red pepper or tomatoes for a little fleck of red to add to the eggs in a hole. Anthony was really excited to learn how to make Eggs In A Hole too, and wanted to be sure to be able to add it to his repertoire of breakfast recipes. To make really good Eggs In A Hole, start with good bread. We used a pre-sliced loaf from the bakery section of my local King Soopers. It’s their Italian Boulé loaf, and it’s our favorite. It toasts up great for just having as bread, and when you add it to a pan with some butter, it does beautiful things! 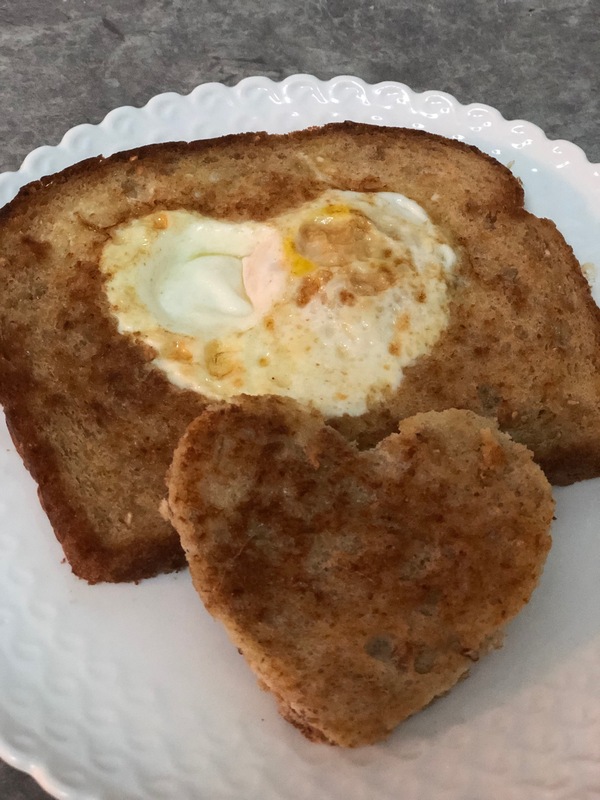 Usually when making Eggs In A Hole, you’d use a juice glass, flip it over and use that to cut a circle out of the center of the bread, well, to make this Valentine’s Day version of Eggs In A Hole, we’re using a cookie cutter. 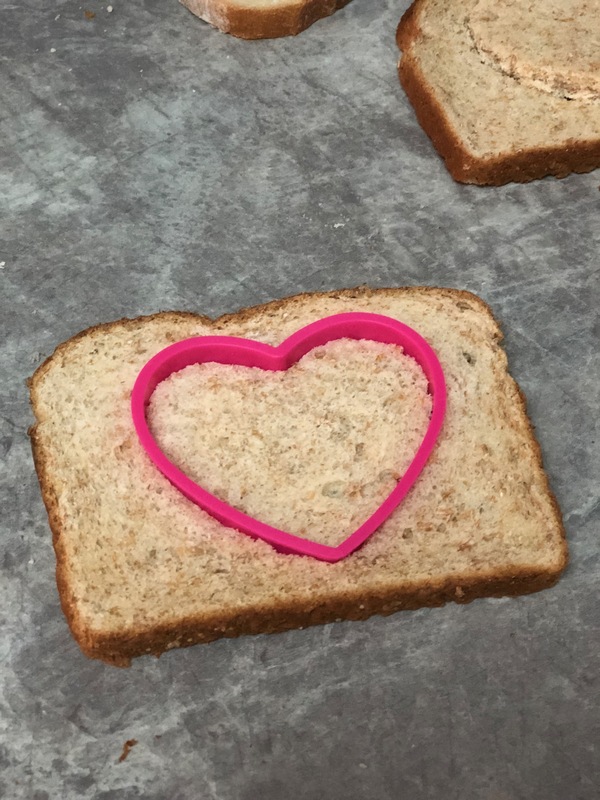 Use a heart-shaped cookie cutter, and cut out a heart-shaped hole in the center of each slice of bread you want to cook. The egg will form to whatever shape you cut out, so if you have an XOXO shape or something, you can use that too! 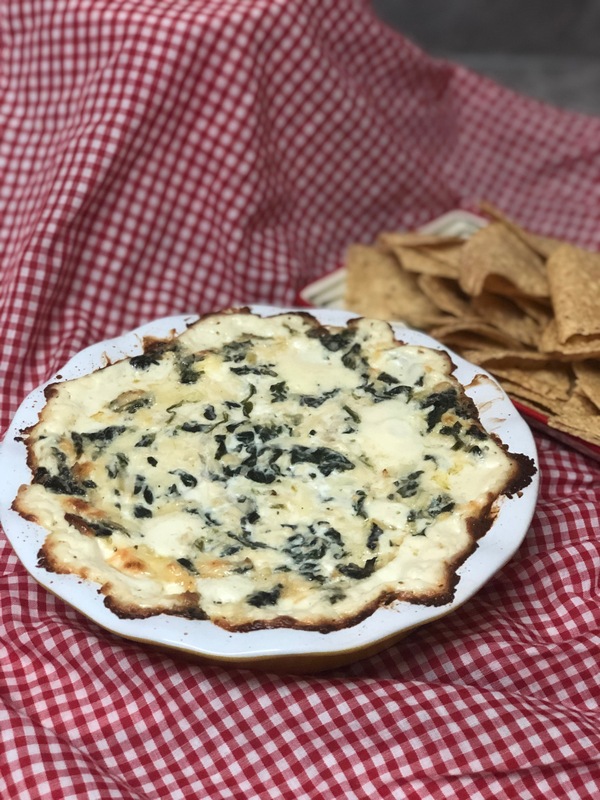 This recipe is kind of like the recipe for Cheese Quesadillas that I shared the other day, as in, you don’t really need a recipe to cook an egg and a slice of bread. 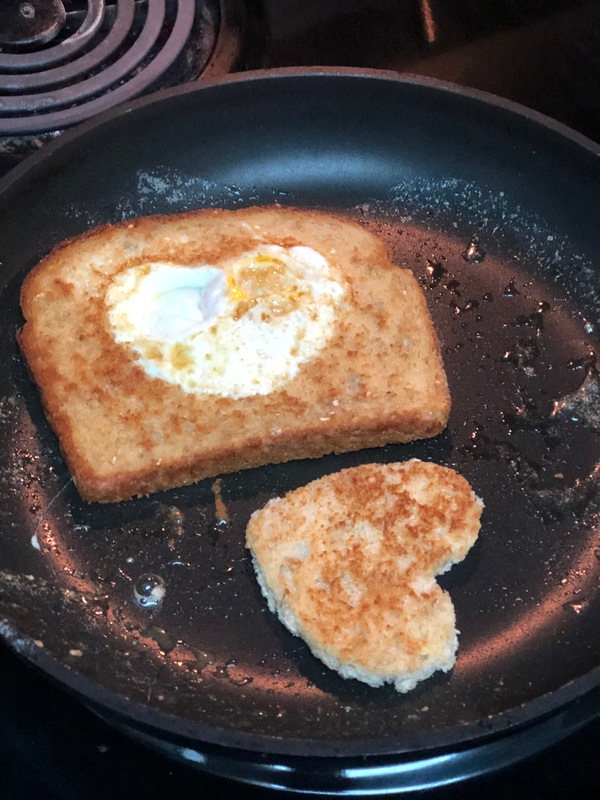 To make Heart Shaped Eggs In A Hole, start by using a heart-shaped cookie cutter and cut a heart in the middle of a slice of bread. Remove heart in the middle. Next, melt 1 tbsp butter in a non-stick skillet until shimmering. Place bread in skillet, swirling around to make sure that it gets completely covered in butter. Crack egg in hole and season with salt and pepper. Place cut out heart in the side of pan. Cook 1-2 minutes, until the white is completely opaque and carefully flip. Cook another 1-2 minutes, or until desired egg doneness, and serve right away. Dip heart in egg. That’s it! Super easy, I told you! And your kids can totally make this. 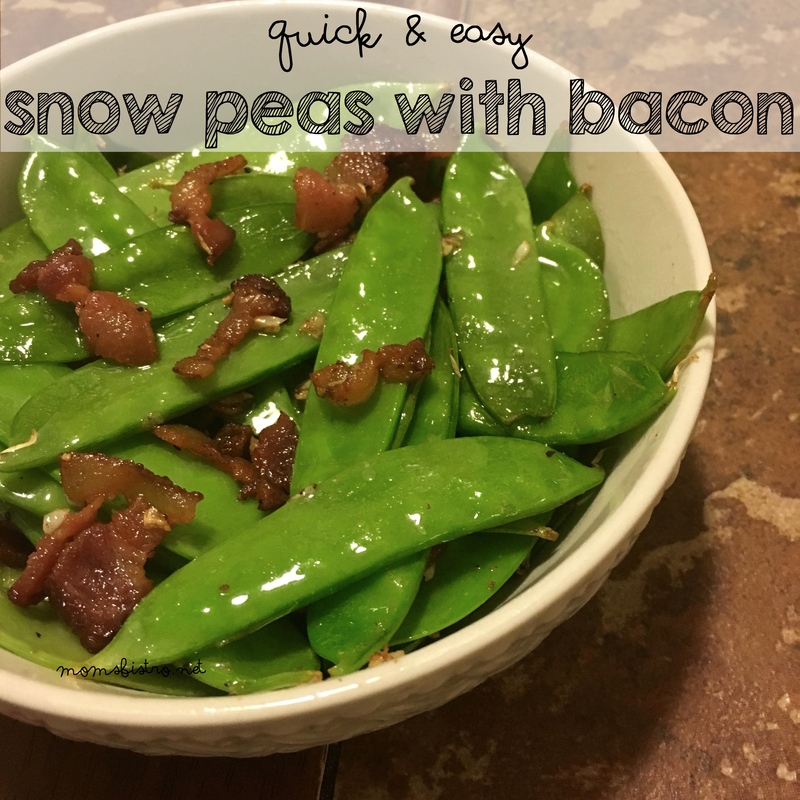 Share this post with your kiddos, and tell them if my 7 year old can make this, they can too, and to get cooking.